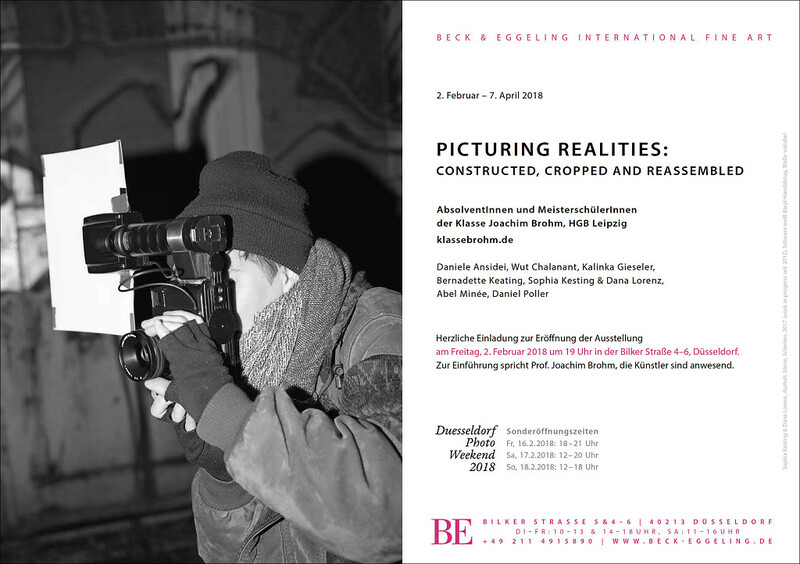 February 2 – April 7, 2018 at Beck & Eggeling International Fine Art, Düsseldorf. Graduates and Post-Graduates of the Brohm class at the Leipzig Academy of Fine Arts are showing their recent works: "Picturing Realities – Constructed, Cropped and Reassembled". Artists: Daniele Ansidei, Wut Chalanant, Kalinka Gieseler, Bernadette Keating, Sophia Kesting & Dana Lorenz, Abel Minnée, Daniel Poller.